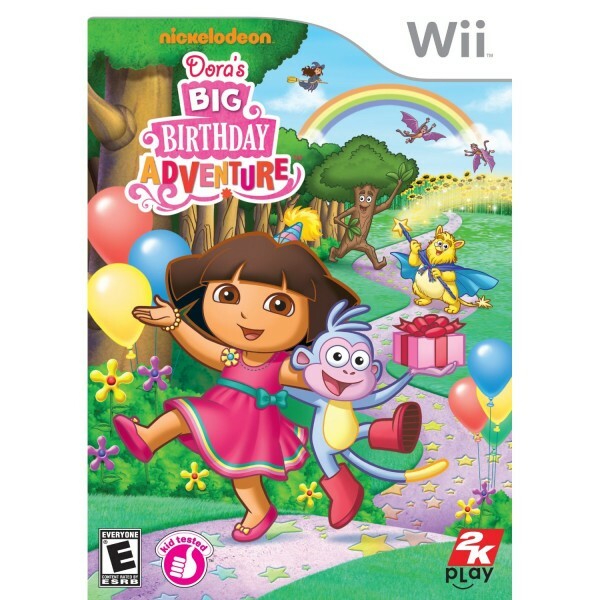 It's Dora's birthday and you know what that means a fun-filled party with all her friends. The only problem is Dora and Boots are stuck in storybook land and must go on an exciting, magical journey if they hope to make it to the party on time! Dora the Explorer: Dora's Big Birthday Adventure is an action game for Wii in which your child is tasked with helping Dora Marquez, star of the Nick Jr. cable animated series "Dora the Explorer," and her pal, Boots the Monkey, find their way to a birthday party thrown in Dora's honor. Along the way players will have to avoid obstacles, use in-game jumping, climbing and swimming skills and even find and ride a unicorn.